With our Wise Design approach to luxury custom interior design services, we help you identify the functionality and elements you want in your space, as well as the feelings you want it to evoke for both you, your family, friends and guests. Then, we’ll combine your wants and needs with our innovative and efficient design process. The result is a space you can’t wait to come home to. 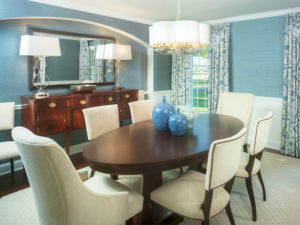 Call 215-736-8693 to discuss your design project and our Award-Winning process. Donna’s Wise Design process, developed over years of advocating for her clients, includes discovering your Design Fingerprint. Your Design Fingerprint is deeper and more ingrained than any interior design style you’re drawn to. In fact, design style only scratches the surface when it comes to truly understanding what you love and need in your space. Your Design Fingerprint is like your design DNA. It’s made up of every design craving and aversion you have. It’s how you (or you and your partner) uniquely relate to line, form, color, shape, pattern, space, light, shadow, and more. Your Design Fingerprint is made up of the mission-critical things that live beneath your interior design style. It’s the key to discovering what luxury and beauty mean for you, and it’s the golden nugget that most designers miss. Extraordinary results! …a true Cinderella story! The house looks fantastic…awesome job Donna – could not have done it without your professional expertise. Livable luxury. 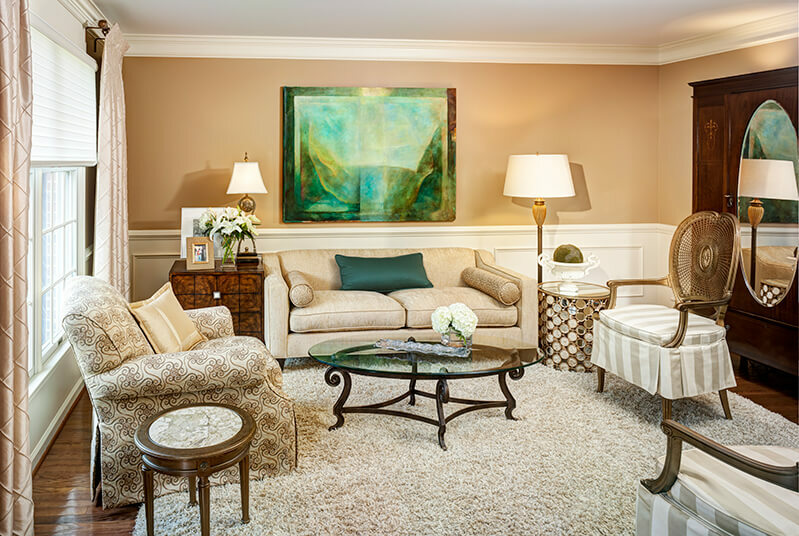 Approachable elegance.When you appreciate good interior design and see your home as an expression of yourself, you’ll love working with Interiors by Donna Hoffman. When you raise the aesthetic in your home with an IDH designed space, you feel better, daily. You’ll feel more productive, more relaxed, more energized and more like your best self in daily life. We believe in creating spaces that are elegant but functional, indulge the senses, but never stray into look-but-don’t-touch spaces. No matter what you have in mind, we’ll bring your dreams of the perfect home to fruition. From transitional, to modern-traditional elegance, to high-end luxury, to rustic-glam and more, we work with a range of interior design styles. Want to create a style all your own? Tell us about the things you love and we’ll create a space that is as unique and wonderful as you are. Collaborating on your custom interior design project should be an enjoyable process. 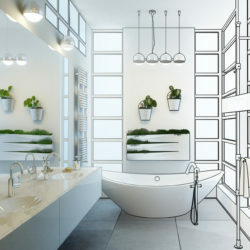 We are experts in, and committed to taking the stress out of, new construction planning or remodeling. Our process is fine-tuned so that it’s manageable and organized every step of the way. Donna’s interior design services are especially effective and efficient for couples. Her carefully formulated process helps couples identify the elements of design you both love, find common ground, and feel at ease and heard. The results are authentically beautiful spaces that both of you will love.